Guests staying in Disney World's Boardwalk or Yacht and Beach Club resorts can now call a Lyft to drive them to wherever they want to go within the Walt Disney World Resort. ORLANDO, Fla. (WPVI) -- Need a ride at Disney World? You can now call a Lyft "Minnie Van." 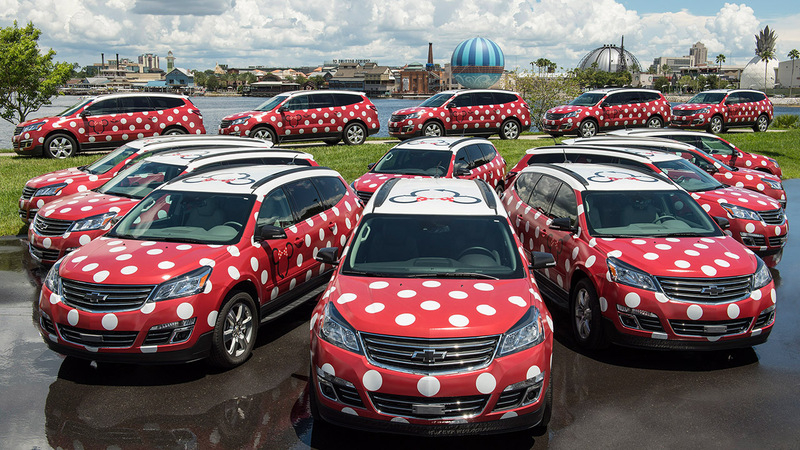 Guests at two of Walt Disney World's resorts, the Boardwalk or Yacht and Beach Club, can summon a Minnie Mouse-themed Lyft to drive them to their chosen destination anywhere on the property. "Minnie Vans" can carry up to six guests and each have two car seats inside for children. Guests are driven in style by Disney cast members in costume. Lyft is making a habit of teaming up with big names. Earlier this month, Lyft teamed up with Taco Bell for a new "Taco Mode" service. Disney and Lyft haven't said when or if the program will expand to other Disney Resorts or if the service will launch in Disneyland. The Walt Disney Company is the parent company of ABC.